What Did the Magi Eat on their Journey? The Bible tells us in Matthew 2:1 that Magi from the east came to Jerusalem after Jesus was born in Bethlehem. It doesn’t give an exact location. Yet northern Arabia, Syria, and Mesopotamia were considered the “east” by the Jews. If, as some have suggested, the wise men traveled from the same area as Balaam, that area between Aleppo and Carchemish was a journey of about 400 miles. This might have taken 2 to 3 weeks on camels—longer if walking. Nighttime travel to follow the star would have required more time. 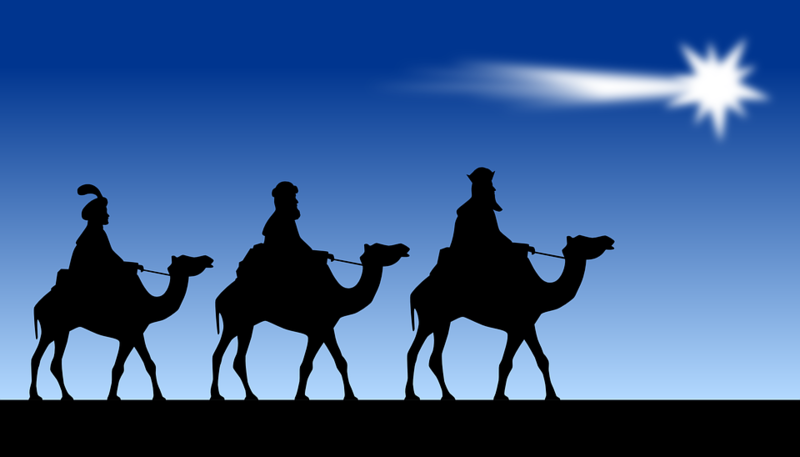 Some experts believe the wise men’s journey was much longer than 400 miles and took from 6 months to 2 years to complete. This makes sense because the Magi talked with King Herod when they were still searching for the child. Herod asked them when they first saw the star and asked them to return to him once they found the young king. The wise men were warned in a dream not to return to Herod, who then ordered all the boys two and under in Bethlehem and its vicinity to be killed. (Matthew 2:1-18) The 6-month to 2-year range makes more sense in light of the boys’ ages in Herod’s terrible ruling. What might they have eaten along the way? Nuts, dates, and figs would have kept well on the journey and were easy to pack on camels. They also needed to bring food and grain for their camels. Some people believe the Magi traveled on sand dunes and desert for many miles. They’d also follow the rivers and streams as much as possible so they and their camels could find plenty to drink. Folks living in the region undoubtedly gave them with water from their wells. When going through towns, they’d take advantage of opportunities to buy fresh bread, meat, fruits, and vegetables for the journey ahead. Stews and soups would have provided hot meals and stretched their supplies. These Wise Men brought three gifts for Jesus. They gave him gold. This gift affiliated with kings was given to Jesus, the New-Born King. They gave him frankincense, an aromatic oil sometimes used in worship. Christians worship Jesus as God’s Son. They gave him myrrh, a fragrance used in preparation of dead bodies, symbolizing Jesus’ persecution and death. Wise Men Trivia: Christmas Fun for Kids, Barbour Publishing, 2013.